So, are you looking for an ultimate beard trimming and styling kit? 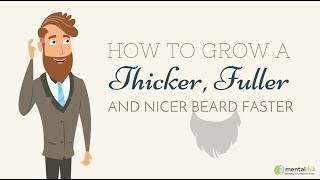 Like every appearance-conscious gentleman out there, you want to look for a tool that does the basic job of trimming beards. But at the same time, you also want it a reliable and stylish beard trimmer that won’t burn a hole to your pocket at the same time. You may not have to look further any longer because The Remington PG6171 The Crafter should be the one you’re looking for. This beard trimming tool kit also known as “The Beard Boss.” But is this kit really the beard boss? Let us find that out! The Remington PG6171 The Crafter is made to trim the hair not just on your face but also on your body. You will be overwhelmed by this kit because it has a lot of things that it offers for such a mid-range price. For a start, the Remington PG6171 The Crafter includes a whopping eleven various accessories plus a travel duffel for easy carrying. But will the Remington PG6171 The Crafter worth the price and those bells and whistles? The Remington PG6171 The Crafter is a solid product, made from top-quality materials and you can tell it outright from the moment it feels in your hand. Despite the overwhelming number of accessories, the Remington PG6171 The Crafter is surprisingly easy to operate and all accessories are easy to attach, use and then detach. It also has the extended neck for a more pinpoint and precise navigation around the face and neck. You will be happy for a range of accessories the Remington PG6171 The Crafter has – it has six combs, plus a nose trimmer, an ear trimmer, a mini foil shaver and a detailer. It features 10 length settings (from 2mm to 20mm) which offer flexibility and versatility in your trims. It comes with 10 lock-in settings that allow you to work and different hair lengths. One of the unique features of this tool is its extended length for an easy and effortless trim across the face and neck. Another thing going for the Remington PG6171 The Crafter is the Turbo function, which is developed for efficiency and speed. It can make clean shaves and do the job of tackling difficult hairy situations – from coarse and uneven stubbles to the thickest strands – without snagging your hair. It’s because the Remington PG6171 The Crafter is equipped with sharp, tough and long-lasting self-sharpening blades that guarantee a consistent trim. Furthermore, it has the advanced blade geometry which is developed for maximum efficiency. There’s also the detailer and a mini foil shaver. They may make the Remington PG6171 The Crafter a good value, but the detailer and the mini foil shaver are nothing to write home about. The mini foil shaver is not as good as the other models, while the detailer does only fairly in making details around your beard or mustache. But really, there are other models out there that can do such things better. Now, for the battery. This is one of the reasons why Remington PG6171 The Crafter is a bang for your back, and that’s the battery. It is powered by a lithium-ion (Li-Ion) battery that provides a solid three hours of use after a single charge! It also has a quick charge feature which allows you to charge 5 minutes for a single touch-up if you’re in a hurry. It is also 100% waterproof, so no worries whether it would malfunction when you take it to the shower. It’s also easy to clean. The combination of an good and solid design, incredible battery, strong motor and sharp and tough blades makes the Remington PG6171 The Crafter a very solid trimmer. It can also shave through thick beards, thanks to its Turbo mode feature. Plus, it has 11 accessories that allow for a more versatile grooming and styling. It may not perform each function like a professional trimmer, but for its price, the Remington PG6171 The Crafter will be definitely worth your purchase. Really, it’s a great value for your money, so you won’t ever regret buying it! Charge: One full charge provides 180 minutes of use. It also has a 5-minute quick-charge feature for one trim. Features: six combs, nose trimmer, ear trimmer, detailer, mini foil shaver; amazing battery life; Turbo function for dealing with thicker beard; extended neck for a more ergonomic and easier trimming round the neck and face; advanced blade geometry for maximum performance.